How do I manually deny a referral? 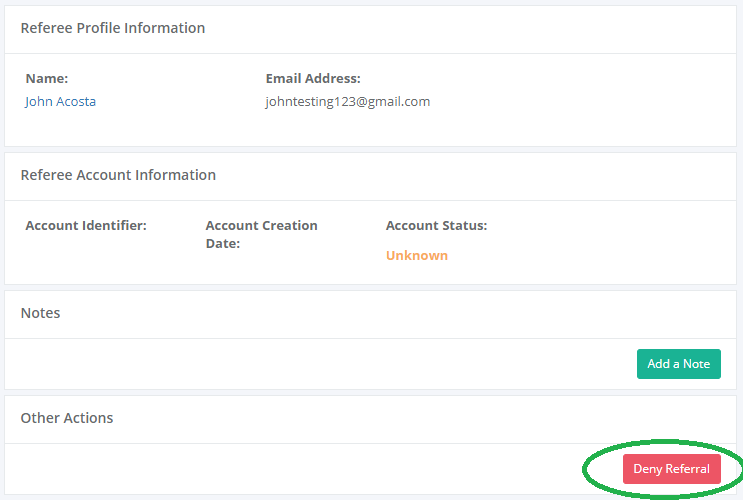 To manually deny a referral, scroll down to the bottom of the page for the referral you want to manually deny and click Deny Referral. 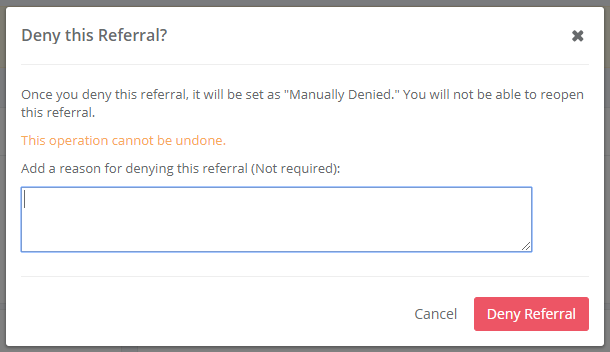 You can leave an optional reason for why you're denying the referral. Once you confirm you're denying the referral, the referral will move into Pending Denial before being Denied after the Pending Denial period.